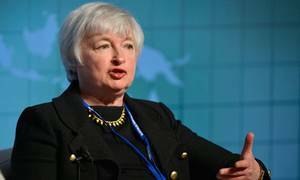 Recently President Obama nominated Janet Yellen as the first woman to be Federal Reserve Chairman. If confirmed, she will be the first woman in America ever to have the power literally to create money out of thin air. Many people are asking if this change in leadership will improve the economy. Our simple answer is “NO”. A swap of leadership within an inherently corrupt system will not solve our problems. The Federal Reserve is the problem itself. 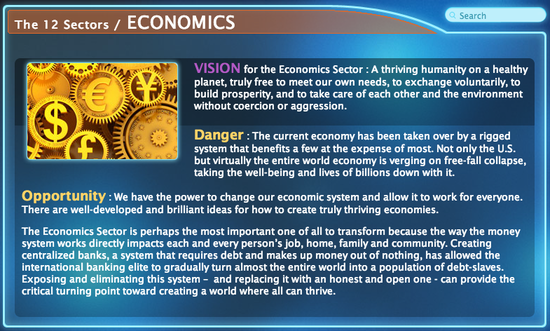 We unpack this issue more in the Economics Sector of our website. Click on any of the images below to learn more about how the economy works now and why the central banking system itself needs to be overhauled…not just the people controlling it. 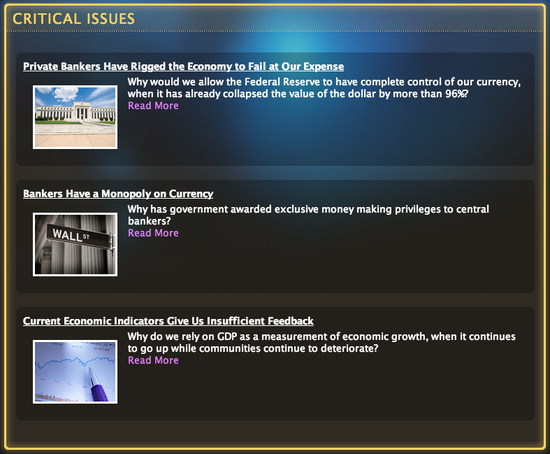 Also, be sure to click on items in the left hand panel of the Economics Sector page, to explore solutions, “What Can I Do?” actions, and success stories. The information throughout our website is provided to help your solutions be as leveraged as possible, and to give a larger context for connecting the dots between seemingly unrelated but truly interconnected issues.